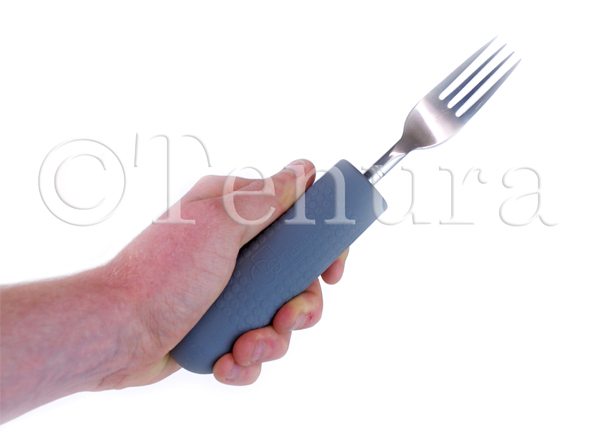 Tenura's range of independent living aids has been helping to make daily tasks easier for a long period, however, we now offer a special combination of our daily living aids that will provide a great solution to grip problems whether at home or work! Tenura Kitchen Packs are a combination of three of our silicone products, designed to provide a high-quality non slip and grip enhancing surface and a safe way to open bottles, jars and containers. Kitchen packs include a jar opener, bottle opener and a 19cm silicone anti slip circular coaster. This combination can make daily tasks easier and relieve strain on muscles and joints. Work in the kitchen whether professional or not is hard work. From preparing the food to chopping, mixing and mashing, it can be a real exercise to create a decent meal for yourself or others. For those who suffer from arthritis, this can be even more of a task. Arthritis can make small tasks such as this very painful and strenuous on the muscles and joints in your hand and arms, meaning a simple task can take a great deal of effort to accomplish. Simple tasks like opening and closing bottles and containers can be a real struggle for those with physical impairments as they cannot form a strong enough grip to open containers with twist tops easily. 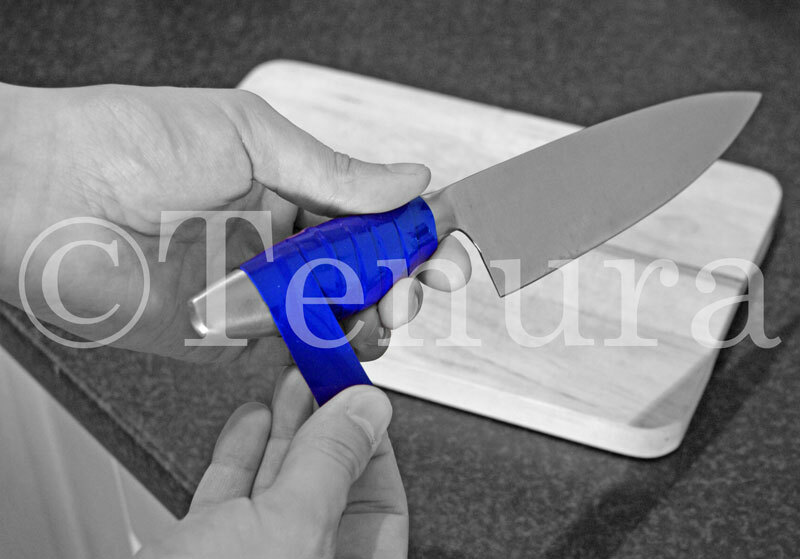 Tenura jar openers create a strong grip around jar lids and tops, making them easier to twist and open. This product is ideal for arthritis sufferers as it will take away the need for a large amount of force to grip the lid or top and instead allow you to twist it open smoothly. 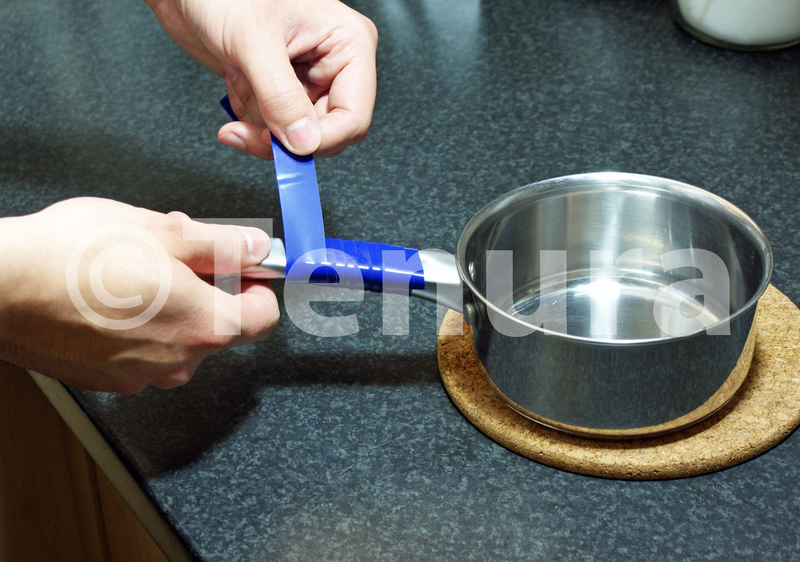 Tenura jar openers have a strong, non-toxic silicone construction and can be washed with ease, allowing them to be used in high hygiene areas. Tenura bottle openers offer the same grip enhancing properties but in a smaller format to help open smaller twist tops, amongst other things. Bottle openers are designed to fit around bottles, medicine containers, taps and many other items, making them easier and more comfortable to open! Like Tenura jar openers, bottle openers are also non-toxic and completely phthalate free. 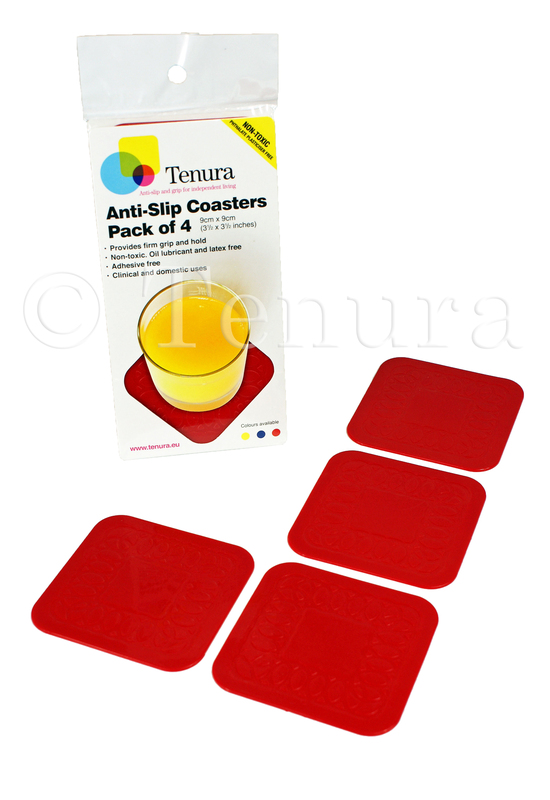 The last product in this combination of daily living aids is the Tenura Silicone anti slip circular coasters. 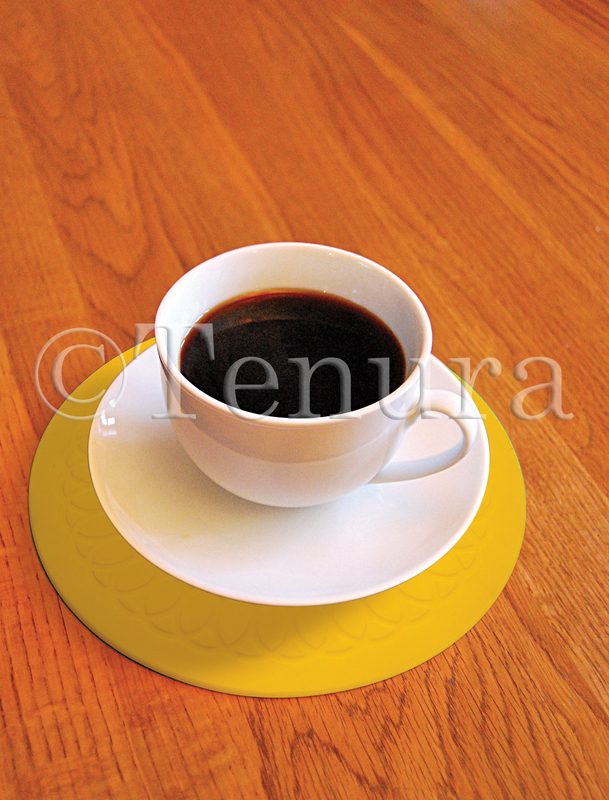 Tenura circular coasters offer a non-slip surface that can be used as a mat or a coaster thanks to its size and shape. Like many other Tenura mats and coasters, this material will adhere to a clean, dry surface without additional adhesive instantly, forming a strong non slip grip that will help prevent unwanted movement from objects that rest on the material. This provides an excellent surface for placing a chopping board, mixing bowl, or due to it’s high temperature resistance, hot pans and plates also, preventing unwanted movement that could lead to spills, stains and potential injuries. This combination creates the perfect range of aids to help with every aspect of cooking, preparing food and other daily tasks, making them easier and more comfortable. Tenura Kitchen packs have been created to offer a complete package for use in the kitchen, or around the home or workplace, and can be purchased on our website. Make sure to contact us with any questions regarding these products and the rest of the Tenura range..
Posted in Arthritis Aids, Assisted Living, Daily Living Aids, Independent Living, Tenura Updates and tagged Tenura kitchen packs, kitchen packs, daily living aids, independent living, jar openers, bottle openers, anti slip circular coasters on 18th November 2015 . Tenura Anti Slip Mats – Make Meal Times Simpler! 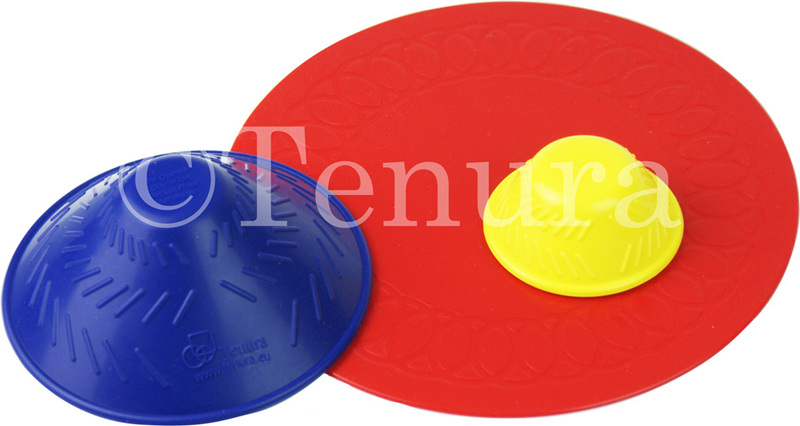 Tenura anti slip mats are designed to make preparing and eating food a much easier task! 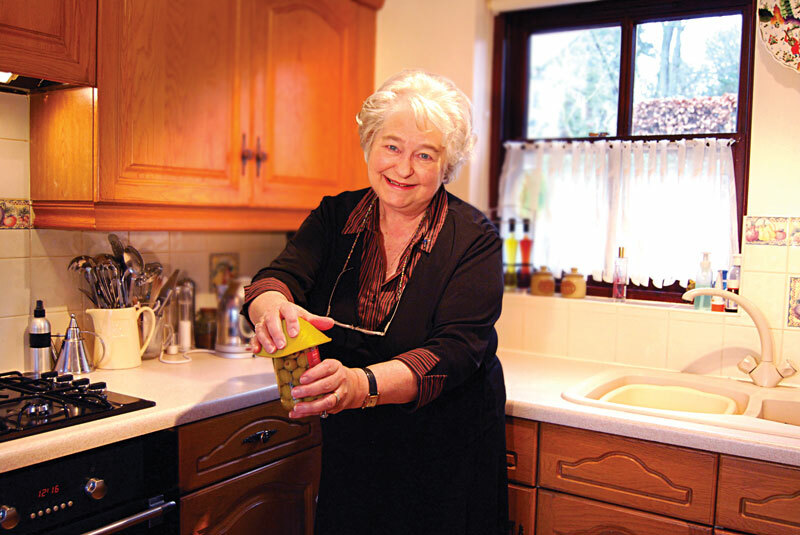 For those with hand or arm impairments, preparing a meal can seem like a daunting and dangerous task, keeping bowls and utensils from falling or moving can be a real struggle, and can make you feel like not bothering at all, especially if you are preparing the whole meal yourself. This can be a painful and challenging part of day to day life for those with disabilities such as arthritis, Parkinson’s, tendonitis etc., simply gripping a spoon or bowl can take an immense amount of effort. Injuries such as damaged tendons or muscle inflammation can also make this task hard or impossible, this can sometimes mean a life ruled by the disability or injury you have sustained, Tenura is constantly battling to prevent this from happening and make independent living easier, where everyday tasks are virtuallt as easy as they used to be. Tenura anti slip mats can be an effective solution to this problem thanks to their high grip surface. 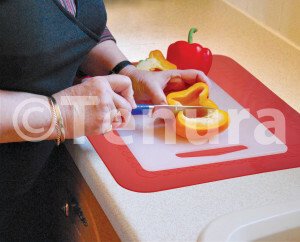 Tenura mats are a great solution for keeping bowls, utensils and chopping boards from slipping, thanks to the high grip properties of the product. This makes unintentionally moving these items much harder, which can prevent nasty injury from occurring or a massive mess which would take a lot of time to clean up. When placed on a flat surface, this material will create an effective grip, perfect for use anywhere in the home, even one handed with certain sized bowls, chopping boards plates. 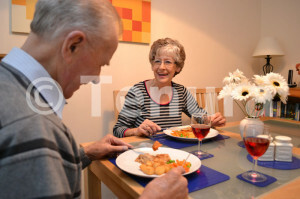 These anti slip mats are also suitable to prevent plates slipping on dinner trays, this can be a big help to those with severe movement disabilities like arthritis or Parkinson’s disease. By keeping the plate still it decreases the chances of spills which could stain and ruin your carpet or sofa, or spill on to your floor, creating a slip hazard! 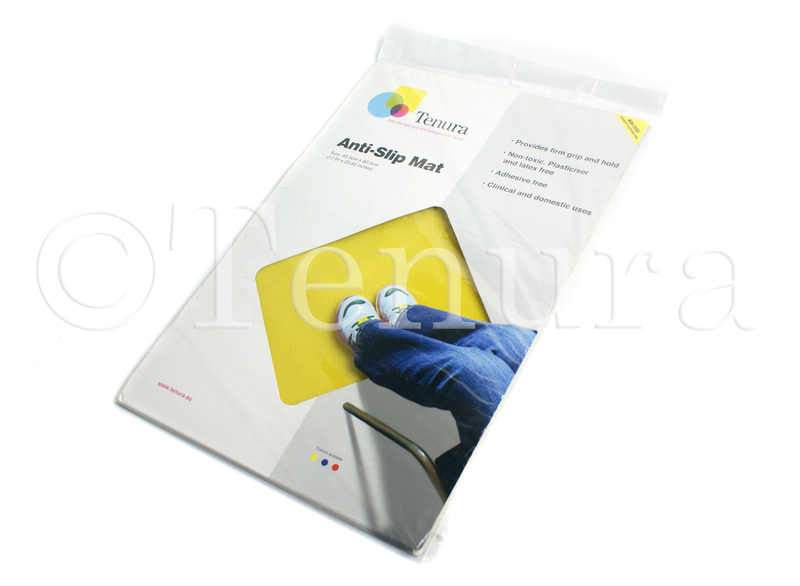 Tenura anti slip rectangular mats are made from non-toxic silicone, meaning they can be used in areas which require high standards of hygiene. These mats can make help maintain independent living, by creating an area with high levels of grip; you can effectively use kitchen machines, cutting boards mixing bowls and many other items to the best of your abilities. These mats can be utilised further, and combined with our silicone anti slip grip strips. These strips can be easily wrapped around cutlery, utensils and bowls, cups or even cupboard or fridge handles applying a great grip around them. Combining Tenura anti slip mats and grip strips together can make preparing, cooking and eating a meal a much easier and simpler task. If you require any further information or advice, feel free to contact us by email, phone or the contact us form on the site. Posted in Arthritis Aids, Assisted Living, Daily Living Aids, Independent Living and tagged anti slip mat, grip strips, independent living on 9th February 2015 . Tenura @ Naidex National, Birmingham NEC, 30th April – 2nd May. We are exhibiting at Naidex National again this year, and we’re really looking forward to seeing all the great products and innovations, meeting many great people, and making many new connections. Naidex National is the largest disability, rehabilitation and homecare event in the UK, with over 300 exhibitors, enabling them, and the many visitors it brings, to trade and meet all in one, very large complex. Events such as this help innovate many products and services, building a brighter future for many, many people. Tenura will be exhibiting from start to finish, bringing with us our new and present range of products, with friendly advice for anyone who comes looking for it. We hope to be able to give and take experience to help ourselves and others to come up with more ideas, allowing us to innovate our range of daily living aids, and hopefully give other people fresh perspectives on their ideas and products. We will be live on the social networks, updating visitors and exhibitors to keep up to date with where we are, what we’ve seen and who we’ve met. Follow and join us if you haven’t already, to help keep you up to date. You never know, you may get to meet some of the gang! We will bring more details such as stand number, nearer the time. Posted in Exhibitions and tagged birmingham nec, daily living aids, exhibition, independent living, low tech daily living aids, naidex national, tenura on 4th April 2013 . Tenura is more than a range of products, Tenura aims to become a system to assist people with impairments to strength or grip. 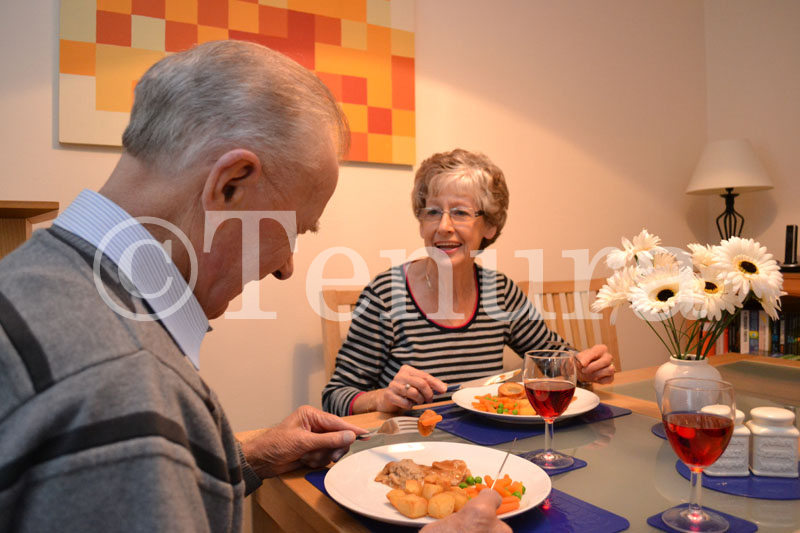 Tenuras anti slip and grip daily living aids, while being able to be used by anyone, have been designed specifically to help the elderly and disabled maintain an independent living, whether in domestic or clinical environments. We have managed to create a unique product due to the material they are manufactured from. 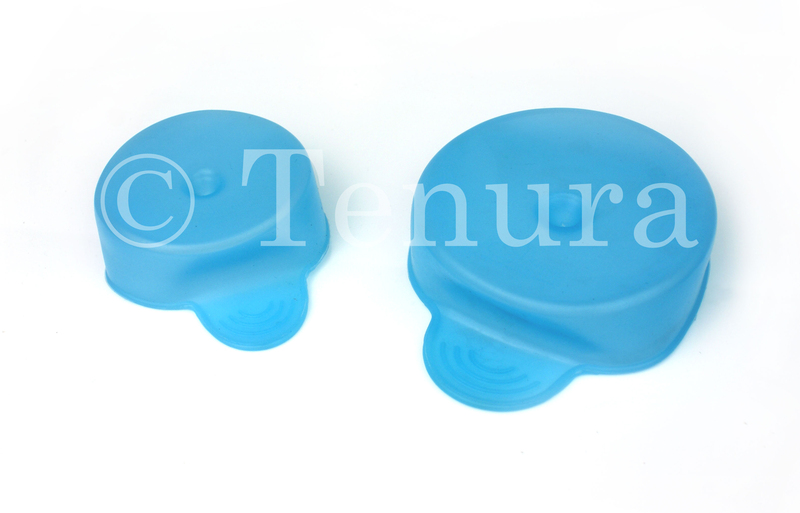 Tenuras main range is manufactured from silicone rubber, which means it is not only an efficient material in terms of grip and comfort, but unlike other manufacturers, our products are free from toxic substances, meaning our daily living aids can be used anywhere. From jar and bottle openers, to floor and table mats, all of the Tenura range is extremely durable, proven even more so by the fact that the entire range is washable, increasing durability and hygienic properties. Our additional products to the main range, such as non slip fabric, Tenura Extreme adhesive mats and our bath and shower strips and discs, are becoming welcome additions in peoples homes, through their versatility in use, effectiveness and competitive, affordable prices. We aim to provide you with more information through this channel, from how Tenura can help you, to stories from other experiences in life. Posted in Assisted Living, Daily Living Aids, Independent Living and tagged anti slip, daily living aids, grip, independent living, tenura on 18th August 2011 .